Architect/developer Cary Tamarkin is on a roll. 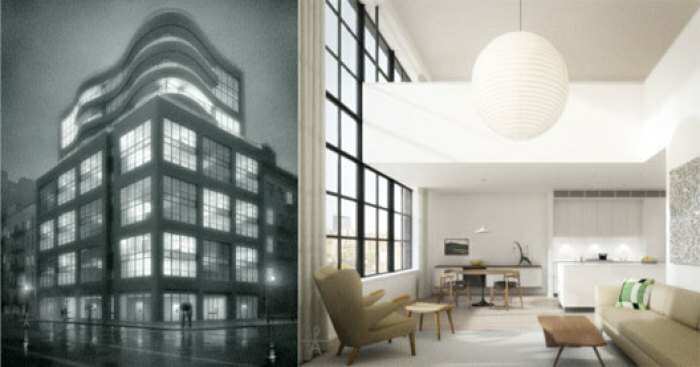 He wowed us with the reveal of 397 West 12th Street in the Far West Village, and now his West Chelsea curveball is finally getting off the ground. On a corner lot facing the High Line, 456 West 19th Street will, according to its website, contain 22 duplexes priced from $1.5 million. Penthouses will start at $6 million. Each residence will have 1-3 bedrooms and contain a double-height living room, seen above. Sure, the market's crowded, but the 'hood can handle one more, right?